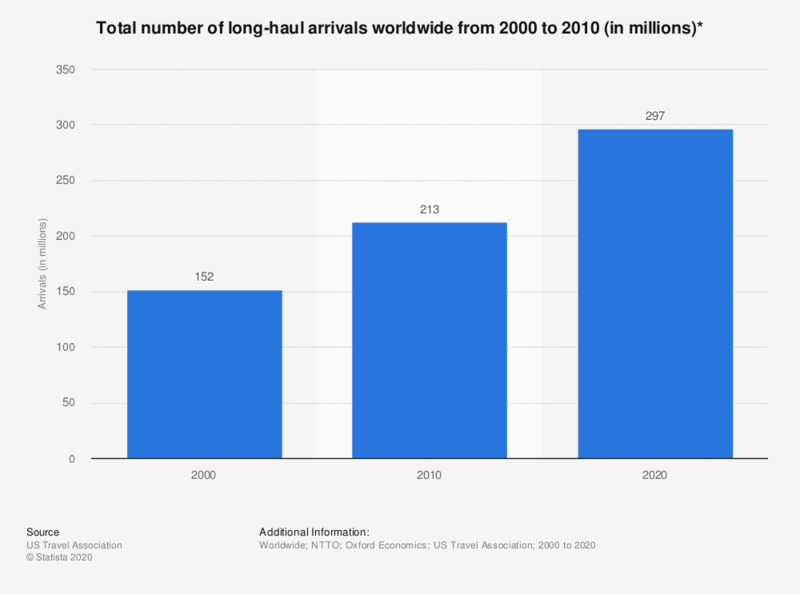 This graph depicts the total number of long-haul arrivals worldwide from 2000 to 2020. In 2000, the total number of international arrivals worldwide was 152 million. * The data for 2020 represents a forecast.